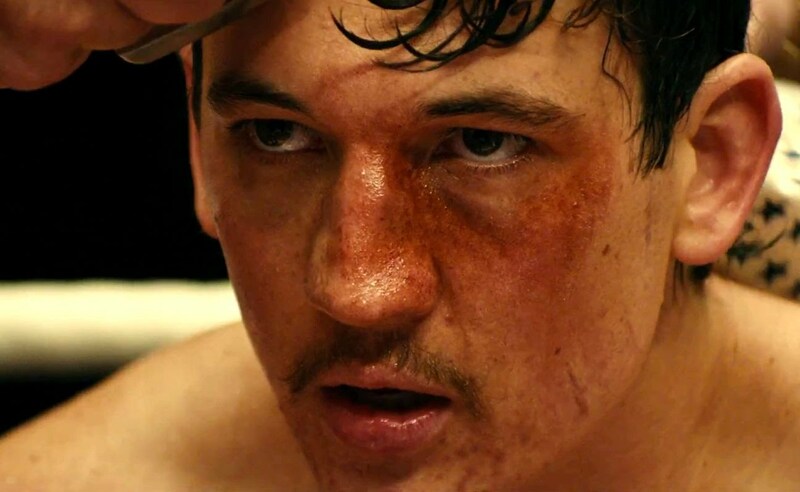 This underdog story starring Miles Teller as you’ve never seen before, documents one of sport’s most incredible comebacks. The film follows the cocky and sure footed Vinny Pazienza (Teller), who teams up with one of the sport’s most celebrated trainers (Aaron Eckhart) in an effort to win world tiles, which he does in style! However, months after the bout which sees Vinny at the top of his game, it all comes crashing down, as he severely injures his spine in a head-on car crash, and doctors tell him he’ll likely never walk again, let alone throw a punch. After some rest time and getting a metal ‘halo’ spine brace painfully screwed and unscrewed from his head, Vinny works on getting back in the ring and defies belief by winning his title bout to win back his championship, to the disbelief of medical professionals across the globe! Rush is a simply brilliant film. Whether you’re interested in Formula One or not, the cat and mouse relationship between James Hunt (Chris Hemsworth) and Niki Lauda (Daniel Bruhl) is impossible to look away from and made all the more real by their grudging respect for one another. There are plenty of rough and tumble moments and more than your fair share of horrifying crashes, but the moment that takes the biscuit for sheer horror is when Niki Lauda is pulled from his burning car and made to commence a truly horrifying session of having his lungs hoovered in an attempt to remove the effects of said blaze. Multiplexes everywhere played to the sound of lunches coming back for a second swipe at digestion and the scene is hard to un-see. This Will Ferrell/Jon C. Riley comedy is not only a hilarious look at the NASCAR world, but also insightful, as it shows the psychological damage the sport can inflict on a driver after a heavy accident. So much so that drivers apparently strip off and run round the track in their briefs yelling for Tom Cruise and Oprah to save them. Ricky Bobby (Ferrell) plays a pit crew member who gets a chance to race for a failing team, and manages to race his way up to being the face of the sport, taking his buddy Cal (Riley) with him. After the horrific accident – and the slightly embarrassing scenes that follow – Ricky’s rehabilitation to get himself race-ready again includes his father putting a fierce cougar in the car with him to help his courage. Ricky manages to get back on the track and beat his former partner-come-enemy in a literal sprint to the finish. Now that’s what we call Shake and bake! I bet you never thought a miss-placed stool could be so lethal. The second boxing movie on our list takes a look at the female boxing world, as Hilary Swank pushes herself to the limit to become a pro, in Clint Eastwood’s Oscar-sweeping feature film. After training with the dynamic duo of Eastwood and Morgan Freeman, Maggie (Swank) gets her chance to go toe to toe with some of the best in the game. But during a particularly ferocious bout, after the bell has been called, a competitor attacks Maggie with her gloves down, and then falls onto the stall that has been put in her corner, breaking her neck. Unlike our man Vinny, Maggie was unable to overcome her horrific injury but treasured her friendship with her coaches that gave her life meaning more than any stupid belt. In a twisted alternate reality where Pele, Bobby Moore and Ossy Ardiles are incarcerated in a WWII POW camp alongside Michael Caine and Sylvester Stallone it seems entirely natural that the camp commandant (Max von Sydow, obviously) would encourage a POW vs German soldiers football match, no? Directed by the mighty John Huston, this mad-as-jam football/WWII mash-up is utter, utter nonsense but incredibly hard to dislike. In a film full of shark jumping moments however, none is more barmy than the decision the team make to get rid of their perfectly serviceable goalkeeper and put Sylvester Stallone in his place despite no discernible prior experience of the Beautiful Game. How, you ask? Well, they stamp on the goalkeeper’s arm to break it, just so good old Sly can try to escape along with the rest of the team after the match.